Has your phone gotten wet? Is it not functioning properly after the contact with water? Follow the following steps immediately to save it from water damage. DO NOT, I REPEAT, DO NOT USE THE WATER DAMAGED PHONE. If it has shut down, do not try to restart it, fiddle with the keys or use the touch screen and the same goes for if the phone is still on. 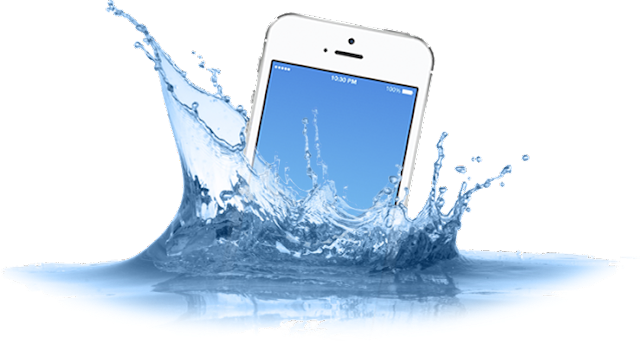 Using the phone may lodge the water deeper into the phone, and maybe short the circuit leading to permanent damage of the phone. If the phone is on, just switch it off. I know it is really tempting to use and see if the phone is okay or not but this is the first and a very vital step. Remove the parts out of the phone. 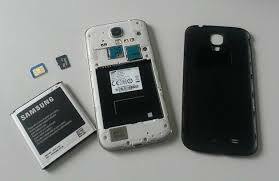 Remove the back cover, the battery, SD card(if you have one) and your SIM card from the phone. First dry the phone with a towel or napkin or your shirt, whatever you have in handy at that moment ASAP. 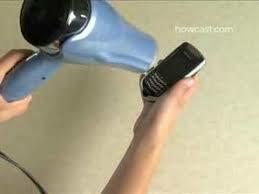 After the see-able water droplets are dried, get a blow dryer and blow dry your water soaked phone. Be sure to blow dry the charger socket, the headphone socket, and the speakers too along with the battery compartment. However do make sure that the phone does not become too hot. I know you have got a great urge to see if the phone is alright. But this step is quite crucial and possibly the last step. Put the phone into dry rice. And by into, I mean, cover it up completely by dry rice(rice grains). Substituent for dry rice can be silica crystals. Both act as great moisture(water) absorber. So the water that has gotten into the phone can be sucked up by the dry rice, hopefully before any damage occurs. 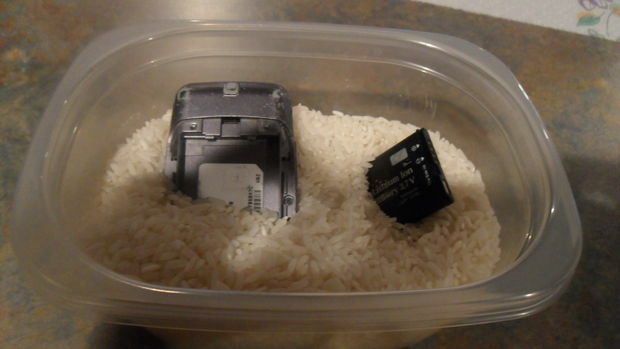 Be sure to keep the phone in the rice/ silica for AT LEAST 5 HOURS (preferably 8 hours). The more the better. Take the phone out of the container and turn on the power. If the phone starts now and works, then well and good. You have succeeded to prevent water damage but if it doesn't, well it's time for the big guns. In my case, I had a water resistant Samsung Galaxy S5, which gave me the notion, that it could withstand any amount of water, so after dipping it in a pool with the back cover poorly attached i faced some problems which I ignored. The phone showed that it was overheating but then I didn't give it the due attention. I just removed the components and let it dry under the fan for the night, and the next morning its charge had gone, and it wouldn't charge back stubbornly. Every time, I put it on charge, the phone showed, battery temperature is too hot or cold to be charged. Next night, I submerged it in dry rice for the whole night. Next morning when I opened it, the phone was back to good health. Still, for safety I submerged it in dry rice grains the following night. The problems went away for good. Buy 99% isopropyl solution. Isopropyl solution is the a miracle electronic cleanser and healer. I have seen it bring back messed up motherboards back to life and bring back dead electronics to life. Now obviously the thing is that it cleanses electronic parts which other items can't do. So what you have to do is this- Buy it(Cheapest here). The first link is for a bigger bottle. Spray it on the charger port, headphone socket and battery components or just completely dip your phone into it. Look into the video tutorial below for accurate usage. This step has a HUGE potential to work. I hope this helped. Do share and +1 the blog! Any query? Put it down in the comments section and I'll see to it. Solution: Possible liquid damage, or physical damage. If liquid damage refer to the above steps, or else send it to a technician. Be sure to back up your data before you do that. To check for liquid damage, look for the LDI stickers on your phone. If the paper is white, then no liquid damage. If the paper is red then, liquid damage has occured. Solution: Probably liquid damage or system crash. For liquid damage refer to the above steps. If system has crashed, this can be fixed by first shutting the device down, then, pressing the volume down button, power key and home button simutaneously which is followed by, the gadget powers on and displays its logo. Release the keys and the android logo will appear. 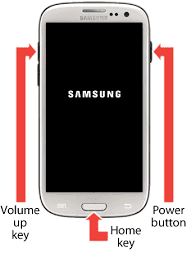 Using the volume key, go to the option reboot and use the power key to confirm. If the device reboots then fine, otherwise the problem may be more serious. Contact a technician. I hope the steps of the tutorial of how to fix a water damaged phone was useful to you. Do reshare, for this may prove helpful to someone who incidentally has damaged his phone by water!